The Crop Adventure shares the modern agriculture story with people of all ages. 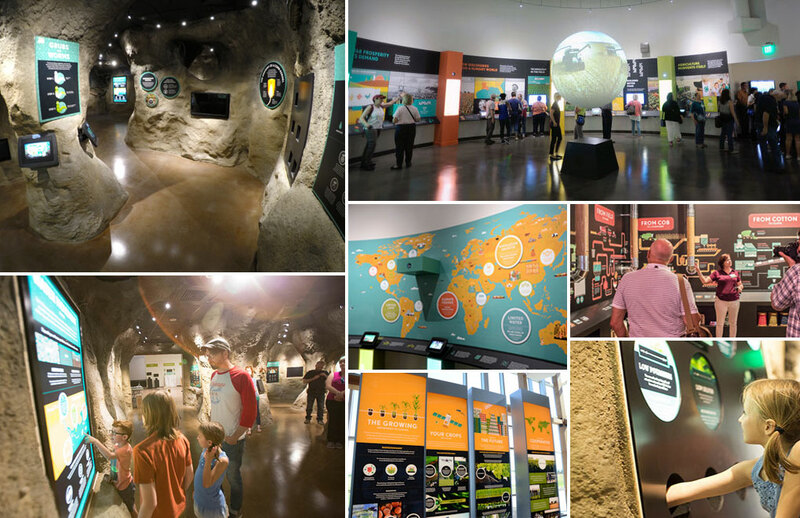 As visitors tour this interactive museum exhibit, they will learn about not only the history of farming, but today's practices and how agriculture might look in the future. The 7,500 sq. 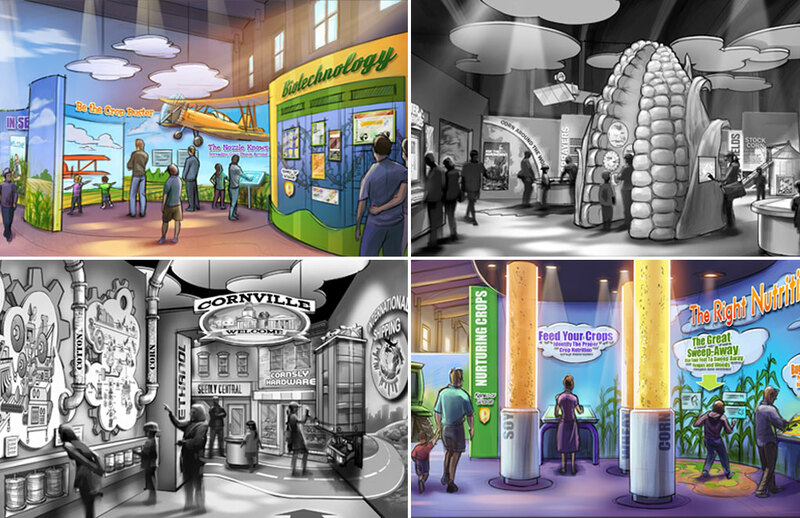 ft. exhibit is highly interactive and a technology-driven experience, with videos, touchscreen displays, interactive puzzles and games that demonstrate the science behind farming. 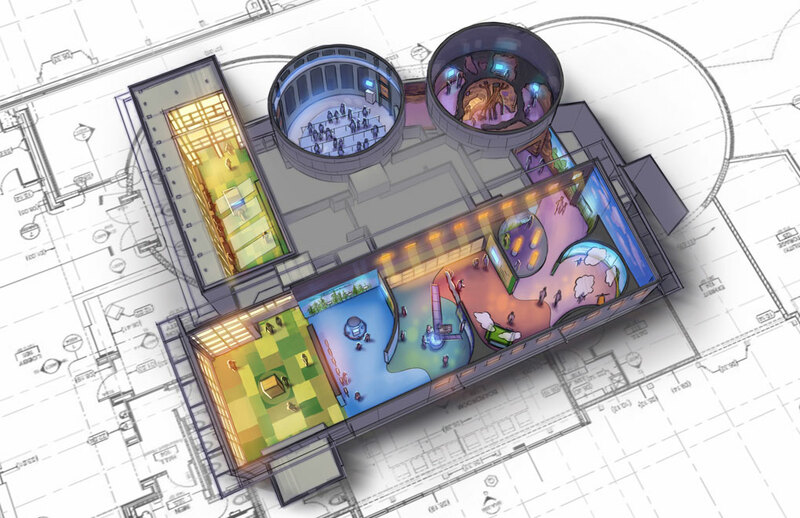 From insects in the field to satellites in outer space, this educational exhibit is truly an immersive experience. 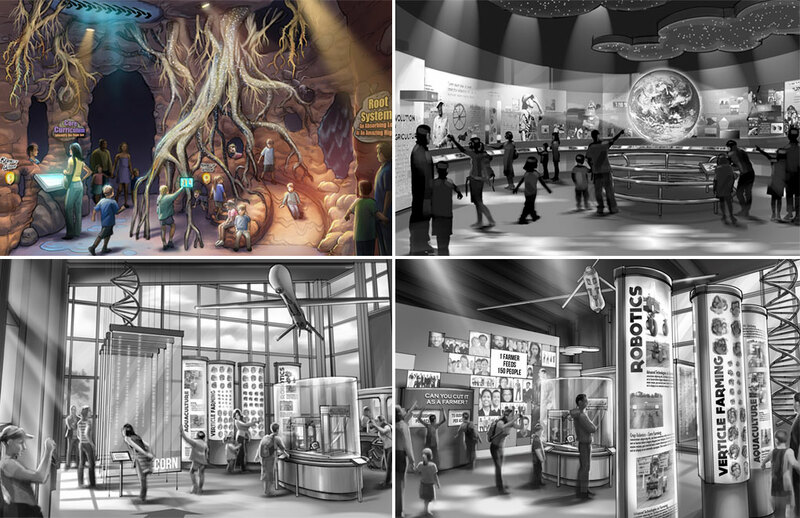 Razorfox Creative partnered with our client to help conceptually develop this interactive museum exhibit.